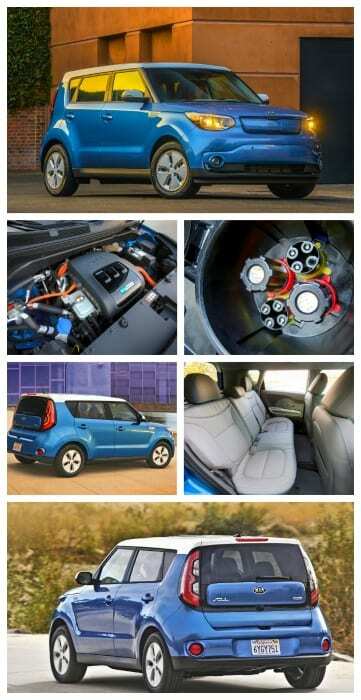 Kia Motors unveiled the KIA Soul EV, a subcompact crossover SUV, at the Chicago Auto Show in February 2014. South Korea has been the production base of the vehicle since April 2014. 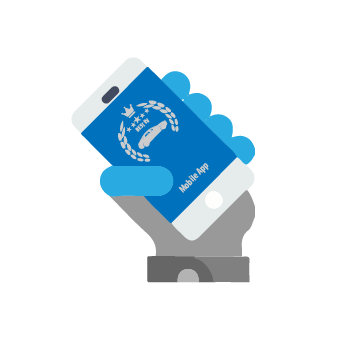 Retail sales for the European market commenced in July 2014, followed by the US in October 2014. 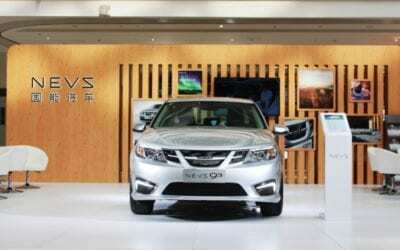 The car is available in three trims, EV, EV+ and EV-e, which is only available in the Californian market. The EV+ comes in a Sun and Fun package, sporting a sunroof and an interior lighting kit with lighted speakers. 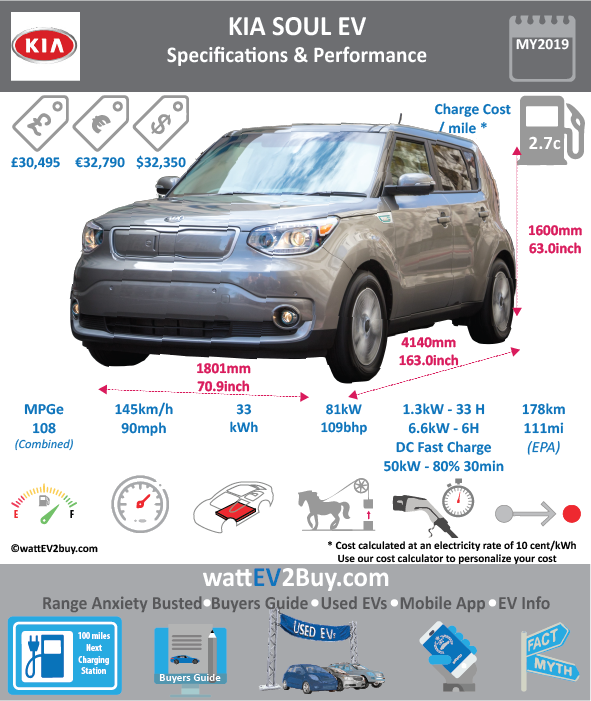 Interested in buying the KIA SOUL EV? 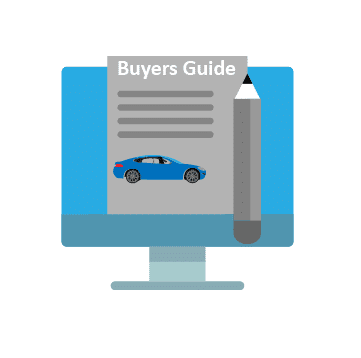 See how the price and range of the KIA SOUL EV compare with its competitors in key markets. 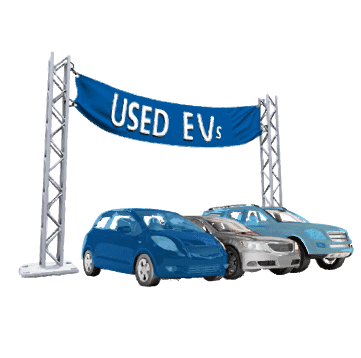 Go to our detailed breakdown of Global EV Sales to see how the KIA SOUL electric car fares to its competitors in the fast-growing EV market. KIA unveiled its long-awaited upgrade of the KIA Soul EV at the LA Auto Show. The 2020 KIA comes in a GT-line for the combustion drivetrain and X-Line for the electrified model. KIA doubled the size of the New KIA SOUL EV battery pack to 64kWh which will result in a doubling of the range to over 320km (200 miles). KIA did not provide range estimates as the car is still undergoing testing. 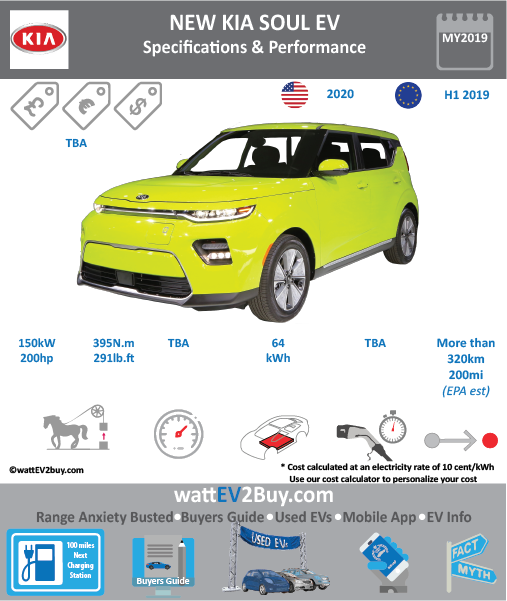 The New KIA Soul EV also has an improved motor producing 150kW (200hp) and 395N.m(291 lb.ft) torque, up from 81kW (108hp) and 285N.m (210lb.ft) torque. On the design front, the New KIA SOUL EV MPV gets a rugged crossover-like theme for the X-Line. The KIA e-SOUL is available in the first half of 2019 in Europe and early 2020 in the USA. 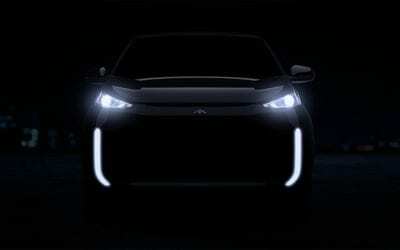 KIA announced that the Kia e-Soul will be unveiled at the Los Angeles Auto Show on the 30th of November 2018. 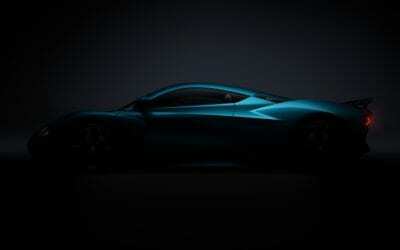 The next generation of KIA electric car will be available from 2019 in Europe and the following year in the USA. KIA teased an image of the rear of the e-Soul EV in anticipation of its launch. 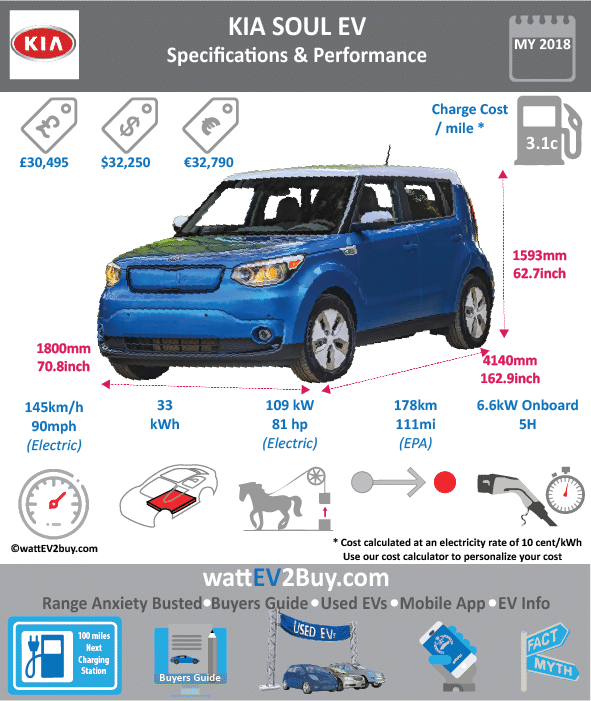 KIA also released the specifications of the 2019 KIA SOUL EV. 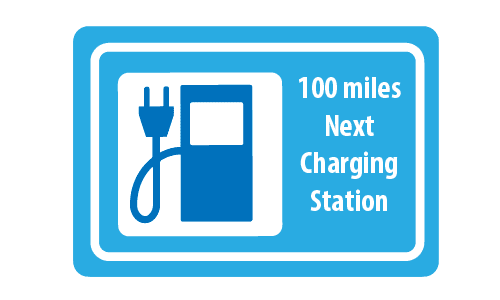 Unfortunately, the 2019 KIA SOUL EV kept its 30kWh battery and 111mile range. On the back of declining sales for its combustion version, KIA announced that it would only sell the electric version of the KIA Soul in Europe. Of the 2,245 KIA Soul’s sold in Germany so far this year 1,900 were EV models. 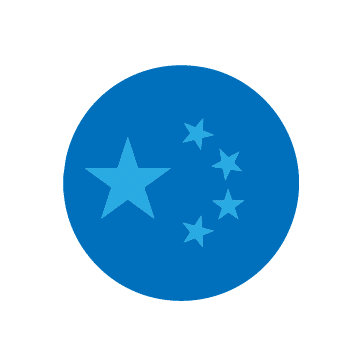 KIA will release the next generation KIA this year which will be based on the Hyundai Kona and KIA Niro EVs available in a 39.3 kWh medium range and 64kWh long-range version, improving the range of the KIA Soul by threefold.